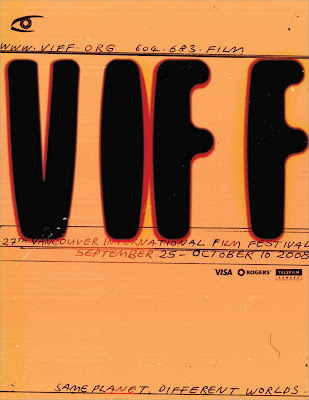 Vancouver filmmaker/performance artist C. Quinn debuted her newest doc "The U.S. and US", during the Canadian Images program @ VIFF 2008, Monday Sep 29th at the Empire Granville 7 Theatre 1. The film will also be screened Wednesday Oct 1st at the same venue. "...The U.S. and Us" is an intellectual romp through the changing landscape of Canada-U.S. relations. Featuring interviews with Canada’s most popular activist Maude Barlow and best-selling political authors Linda McQuaig and Mel Hurtig, the film documents growing Canadian concerns over everything from the impact of the North American Free Trade Agreement (NAFTA) to the fine print of the Security and Prosperity Partnership (SPP). Vignettes of Quinn’s performance art humourously illustrate mounting tensions over serious issues of energy, water and national security to question the future of Canadian sovereignty when American interests are at stake..."
“"The U.S. and Us" is a concise, informative, amusingly illustrated film on a topic that should be of concern to everyone in North America," said Mark Achbar, co-director of the Canadian docs "Manufacturing Consent" and "The Corporation". Quinn’s previous doc short "Standing Still" focused on her relationship with four elderly women from Vancouver Island, winning Best Western Canadian Short at the 1996 Vancouver International Film Festival and a Golden Sheaf Award at the Yorkton Short Film & Video Festival in 1996.